I just downloaded Pixelmator 3.2 Sandstone. I did a quick test with the completely rewritten repair tool. Very impressive first results. 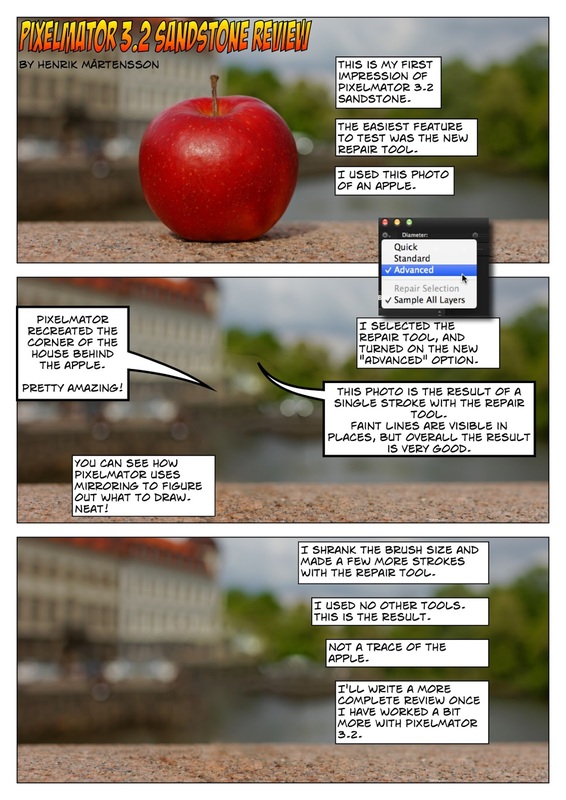 I'll write a more comprehensive review once I have had a chance to use Pixelmator 3.2 in a real project.